Foamed handle provides a comfortable gripping surface. 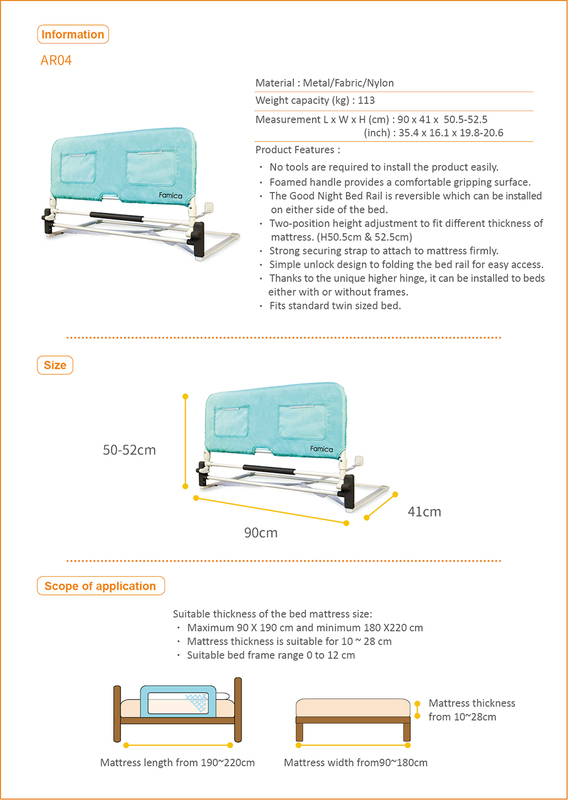 The Good Night Bed Rail is reversible which can be installed on either side of the bed. 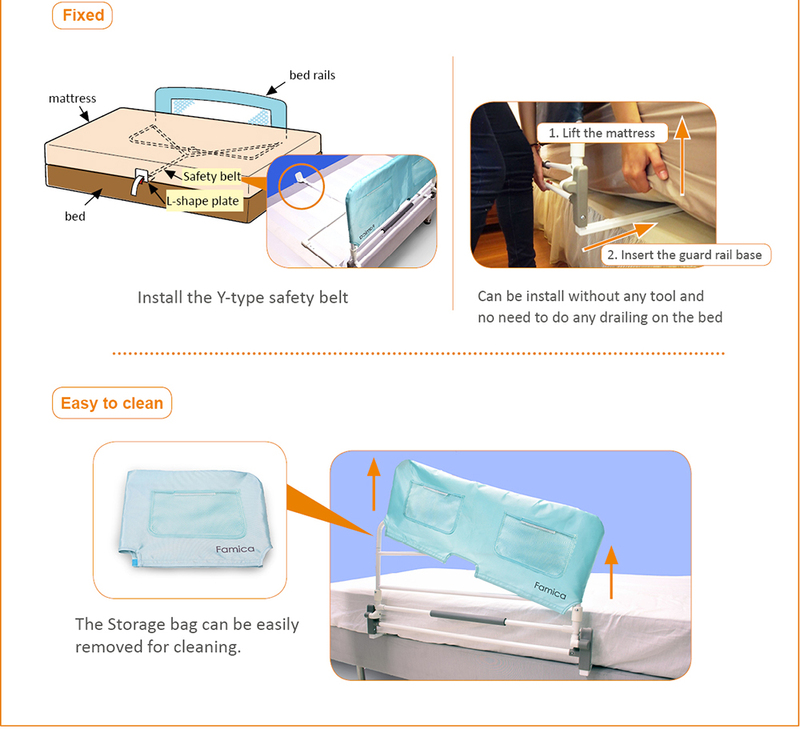 Strong securing strap to attach to mattress firmly. Simple unlock design to folding the bed rail for easy access. 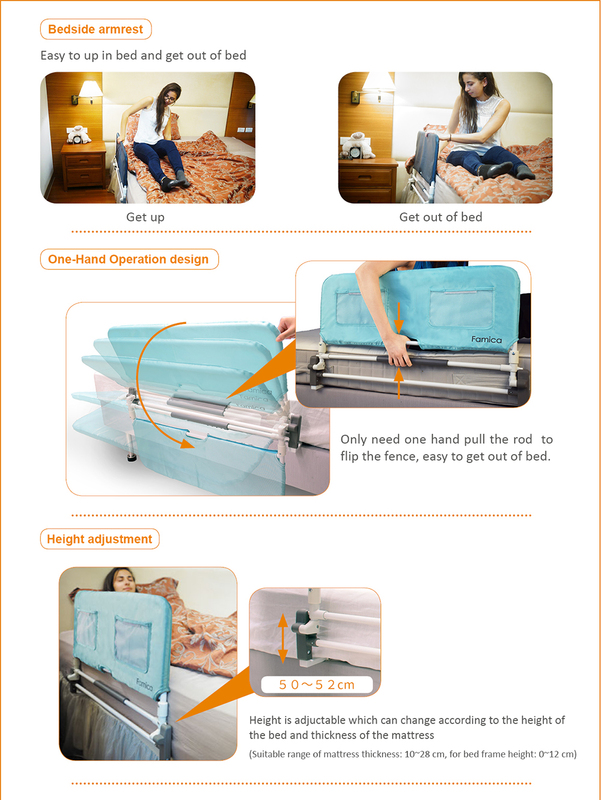 Thanks to the unique higher hinge, it can be installed to beds either with or without frames. Fits standard twin sized bed.